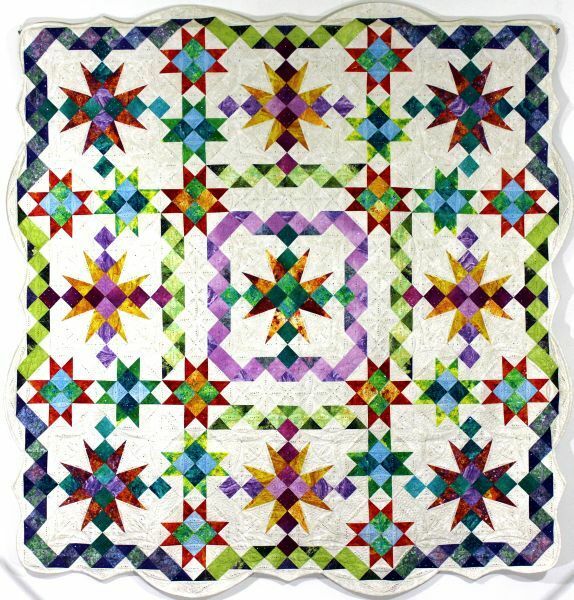 A photo of this quilt appeared in Kimberly Einmo's book Precut Bonanza. The quilt was created specifically for this purpose. Schüller used three traditional blocks and arranged them in an original design. The piece is made from one bright Stonehenge 2.5-inch strip set and three yards of background fabric. The quilt has been embellished with approximately 5,500 Swarovski hotfix crystals.